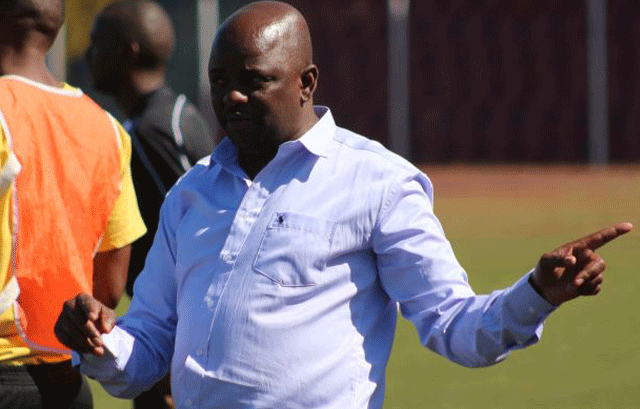 SOCCER – RIGHTLY so, Young Buffaloes coach Dominic Kunene was left impressed by his side performance despite a 2-3 defeat that saw the army side get eliminated in the first hurdle once again in the Total CAF Confederation Cup. Had Buffaloes started on the front foot like they did in the second half, most probably they could have overturned last Tuesday’s first leg 0-2 defeat. A second half brace from Phiwa Dlamini was not enough to bring Buffaloes back into the tie as the locals were sent packing in the continental tournament, 5-2 on aggregate. “We started badly, and we were slow to react but there are always mistakes in football. I’m happy with the performance from the boys especially in the second half. After conceding three goals, there was no need to sit back in the second half,” Kunene said before advising his opponents’ to work on their endurance as they progress in the competition. Fatigue looked to catch up with Eagles as they struggled to match the tempo raised by Buffaloes. Midfield kingpin Sandile Gamedze said as players they accept the result and promised to bounce back in the next competition. “We have learnt a lot from the two successive participations in the tournament and when we return, we will come back stronger,” he said.